SBS Kwill’s Youngstreet, 8pm-10pm. The DJ is K.will. Juniel is a guest with Jeong Dajeong in a corner titled “ 실실막말 “ aired on Saturday. They read story from viewers and they will give quiz about what is the last line of the story will be. Kwill: how is it juniel, last week radio? Juniel: I like it, i was doing radio with Kye Bumjoo before, it’s different fun. Dajeong tell a story about when she appear on running man. 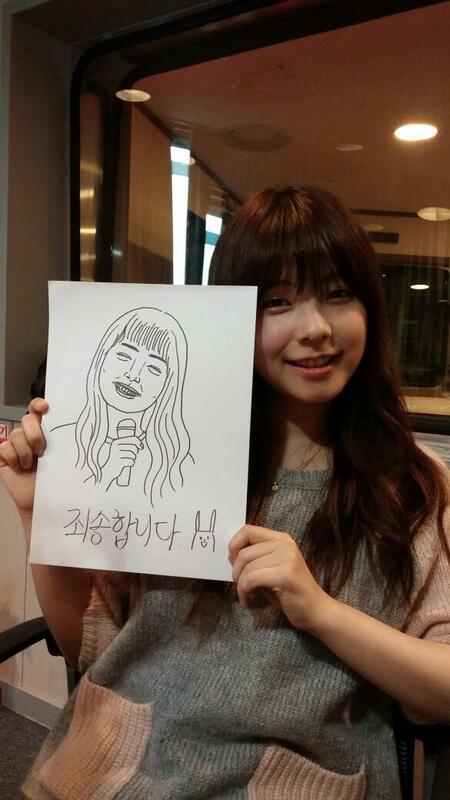 Juniel: Ah i want to be in that show. Kwill: Me too. Juniel said she likes travel by buses but doesnt like travel by trains much. Juniel said she doesnt wear mask or hat when she’s on bus.